Clean and unpretentious, the cabins include a private bath and shower and are available with one bed or two. 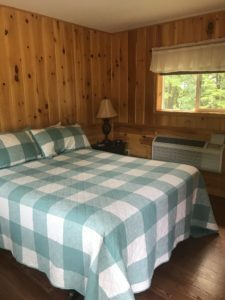 The four bedroom log cabin with housekeeping facilities fills quickly, so make reservations early. 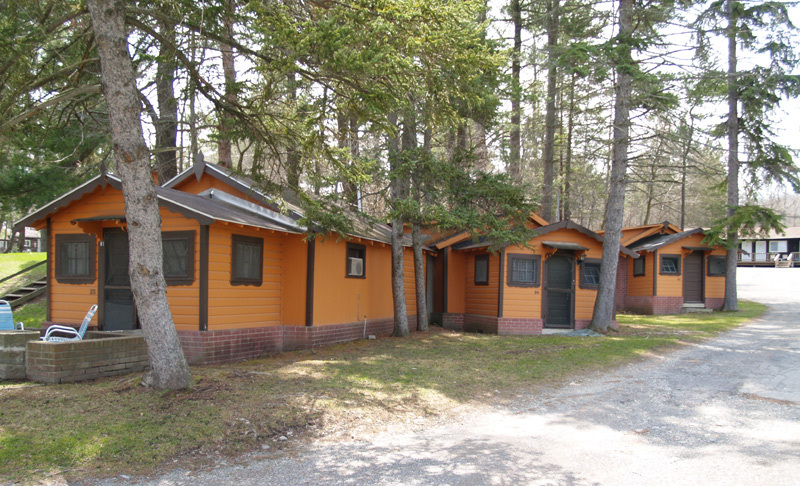 Cabins range from $60-$110 per night (All prices subject to change, depending on events). The log cabin is $170-$190 per night. 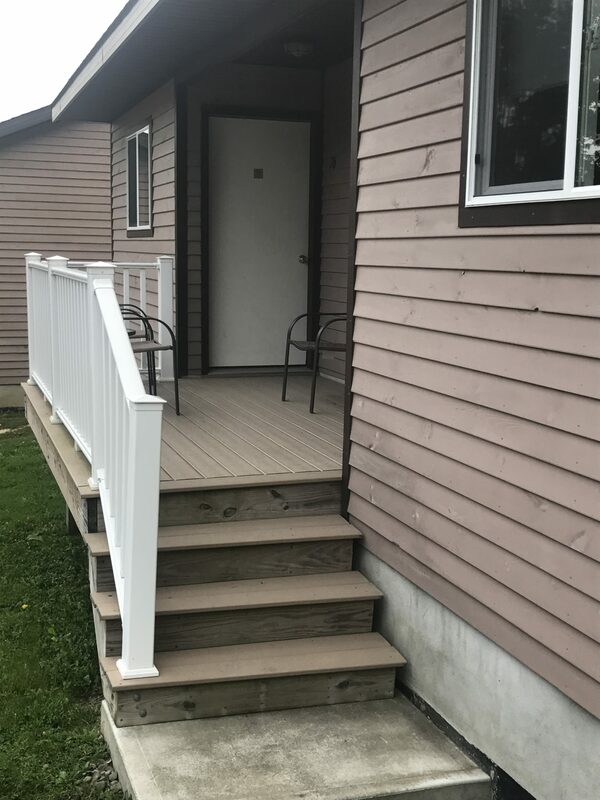 Log Cabin includes large family room, fire place, kitchen, bath, wi-fi, TV, AC/Heat and a front porch (All prices subject to change, depending on events). After a hike through the park, relax in one of our 2 chalet-style buildings, available with three bedrooms. 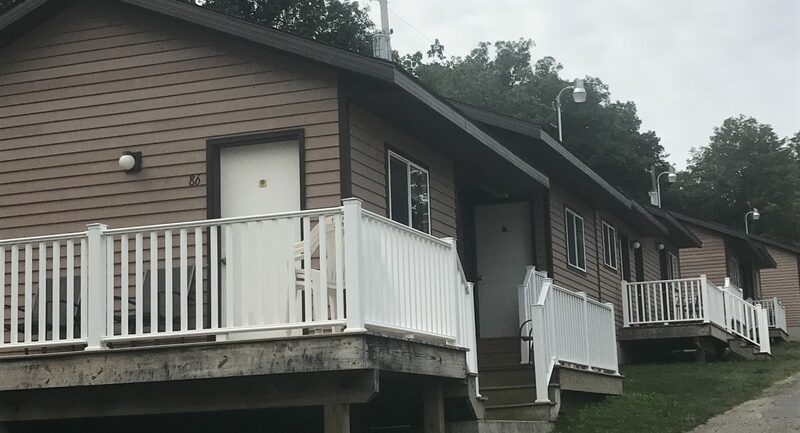 A-frames include family room, kitchen, bath, wi-fi, TV, AC/Heat and a small front porch. $160-$180 per night (All prices subject to change, depending on events). For our standard motels, we offer rooms with a single king bed, 2 double beds or 2 queen beds. These rooms all have cabel tv, wi-fi and ac/heat. These rooms are a perfect place to rest your weary head after a full day at the track or a day walking the gorge. $80-$105 per night (All prices subject to change, depending on events). There are also a few 2 room and larger motels that range from $105-$165 per night (All prices subject to change, depending on events).